Close up woman caressing her rabbit. 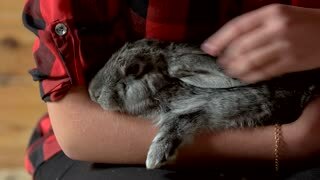 Young woman stroking gray domestic rabbit at farm. 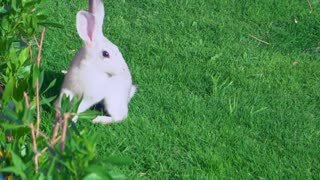 Cute young bunny.